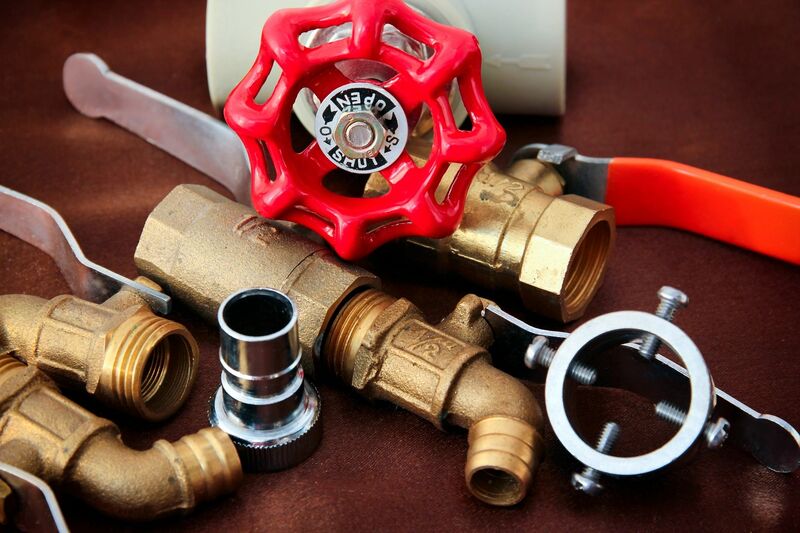 Prior to getting started in the building inspection business nearly 20 years ago, I had very little knowledge about plumbing and its importance to the nation’s health. Like most people, I turned on the tap and clean water flowed. When I flushed the commode, the water magically swirled around and disappeared. I had no idea where it went, how it was treated, and once cleaned, how the clean water enters our streams, creeks, lakes, and rivers. The first crude plumbing systems were developed by the ancient Romans and Greeks. These systems consisted of piping for the delivery of clean water for drinking and bathing, and piping for the removal of waste. These first systems led to better designs over time. Wells and cesspits were the standard throughout the middle ages. These systems sometimes allowed the waste to enter the drinking wells; thus leading to sickness and death. These pits often times exploded and caught fire due to the buildup of methane gas as well. In the 17th and 18th centuries, sewer pipes and water supply pipes where made from wood. New York City had raw sewage flowing through the streets. Not only did the smell permeate everything, the fear of disease was a major concern. It led the City to develop the first underground sewer system in the United States. The Great Stink in 1858 in London was caused by a hot summer and raw sewage in the river. The sewer system dumped all of the waste into the River Thames near the center of the City. During this hot summer, the stench was so overwhelming that residents could not leave their homes. Along with the smell, there were outbreaks of the infectious disease cholera. The citizens thought the disease was spread from breathing the foul air, thus heightening the panic and fear. Thousands of people died from contracting cholera. It was later that they learned the bacteria which causes cholera was in their drinking water which was contaminated from the raw waste in the water. London commissioned Joseph Bazalgette, a civil engineer, to design a sewer system that would carry the waste farther from the City so the raw sewage wouldn’t contaminate the drinking water. Bazalgette used bricks and plaster to construct the underground sewer system. Some of the sewer pipes were as large as 11 feet in circumference. When the waste could not be carried by gravity alone, Bazalgette used engines to pump the waste to a point where gravity could take over, thus inventing the first lift stations. The system, once completed, was over 1,100 miles long and is still in use today. Over eight million residents of London use Joseph Bazalgette’s sewer system daily. It’s been argued that his system has saved more lives in England than any other invention to date. Modern plumbing systems help to keep the nation clean and healthy. I have had the opportunity to tour several waste water treatment facilities where the water is cleaned and filtered prior to returning to our lakes and rivers. During one of the tours, the attendant at the end of the tour drew a glass of water from one of the filtering machines and asked if anyone wanted a drink. We all politely declined and watched as the attendant drank the glass of water. The average person spends over three years of their life in the bathroom. Since 1963, 28 billion feet of copper pipe has been installed in the United States. These pipes could stretch around the globe more than 200 times. Manhole covers are round; if they were square they could fall through their openings. A leaky faucet that drips twice per minute will waste over a gallon of water per week. A leak that drips once per second will waste over 3,000 gallons of water per year. The most famous plumbers of all time are Mario and Luigi of Super Mario Brothers fame. Albert Einstein once said if he had to do it all over again, he would have been a plumber. It’s often said that the swirl or the direction of flow is reversed in the Southern Hemisphere. This is false; the only thing that dictates the flow in the toilet bowl is the direction of the jets and design. John Harrington received the first patent for the flushing water closet in 1596. This is the reason we refer to the bathroom as the john to this day.